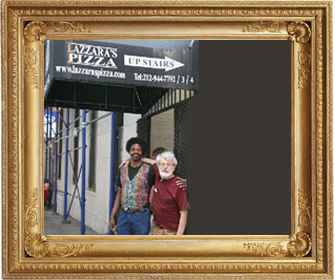 In 1985 Sebastian and Tony Lazzara opened Lazzara's Pizza and Café, located at 221 West 38th Street, between 7th and 8th Avenues. 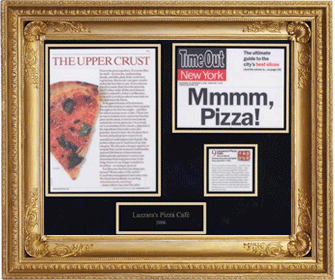 Those in the know in the Garment District are aware that Lazzara's serves the best pizza in the area, with a delicate sauce that has a delightful blend of fresh tangy tomatoes with just a touch of sweet undertones and a light hint of basil. 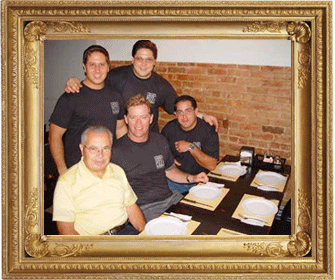 The two brothers recently expanded Lazzara's hours of operation to include dinner service. The newly added wine menu offers a small but encompassing list of complimentary Italian favorites many from Tuscany, which complements the restaurant's cuisine. 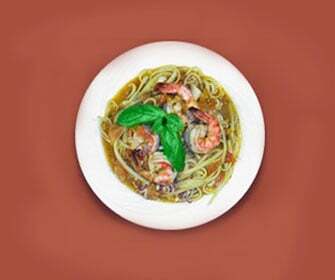 Lazzara's location near Times Square particularly lends itself for after theatre diners who desire a cozy but not pretentious atmosphere and genuine traditional southern Italian cuisine. A private party was recently held to commemorate the restaurants new expanded dinner and wine menu. One particular specialty on the new menu is Ravioli Pesce, Lobster and Ricotta filled ravioli in a baby shrimp marinara sauce. The fine Scarbolo Pinot Grigio would be a nice accompaniment to this dish. However, Lazzara's still offers one of the most eclectic arrays of pizza toppings available on the West side of Mid-Town Manhattan. You can order everything from the traditional Pepperoni and sun-dried tomatoes to grilled eggplant and clams. The Lazzara brothers have recently expanded their Manhattan location's operation outside the dining room to include a new on-location craft service and expanded catering. The Lazzara craft service division has recently catered locations for the Public Broadcasting System (PBS), Channel 13 News, Sesame Street, HBO, and Shadow Studios. 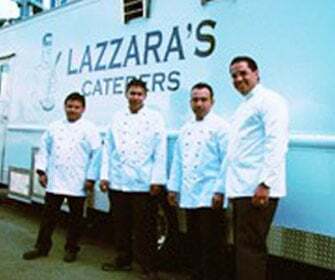 The brothers catering service extends now across all the restaurants under the Lazzara family domain. 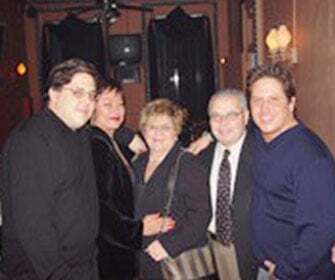 Along with Sienna, which is located at 86 Boonton Ave., Kinnelon, New Jersey, the Lazzara family owns Libretti's, located at 554 Nassau Street, Orange, New Jersey. 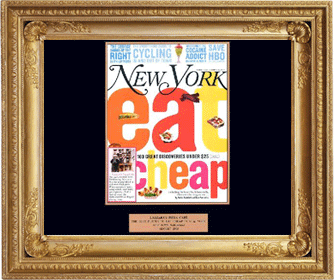 Libretti's has been a popular dining institution for 50 years. Recently taken over by Danny Lazzara, who is hands on in the kitchen and can be found in his white chefs attire 6 sometimes 7 days a week, it also features old world family style southern Italian dishes. The Oriental Manor located at 1818 86th Street, Brooklyn, is designed expressly for large-sized catered functions with two main ballrooms, the Florentine Room, which can accommodate up to 225 people, and the Patio, which can seat up to 300 guests. The Oriental Manor is also a favorite location for movie directors and producers, most notably; the Florentine Room was used as the setting for the wedding scene in the Martin Scorcese film Goodfellas. The large elegant facility has an extensive catering menu to accommodate any event and palate. Additionally, the tastefully decorated Oriental Manor is a fine photogenic backdrop for a lasting impression for any affair. But, remember on those days when you have a desire for rustic authentic Italian family recipe pizza, visit Lazzara's where they will always make you feel welcome and like family.